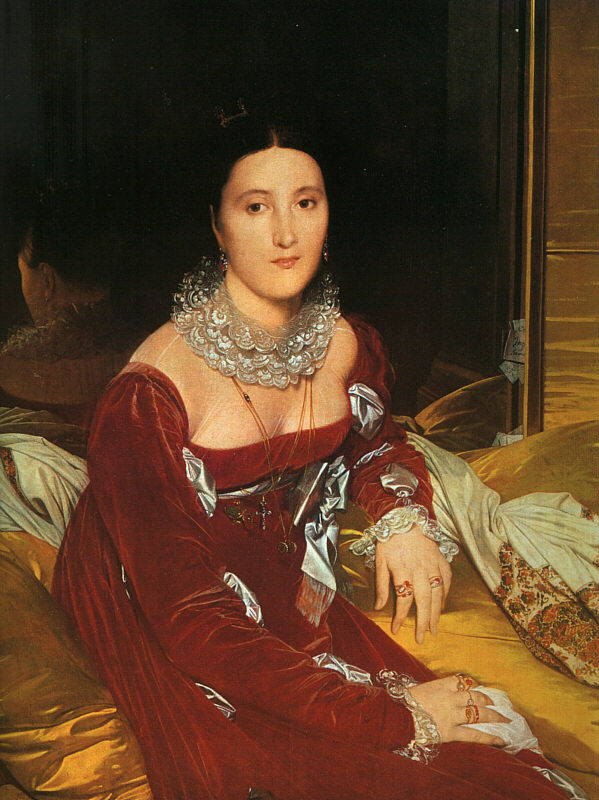 During the Regency, jewelry became much simpler than before. While family jewels were still prized and women still wore the necklaces, bracelets, earrings, brooches and whatnot that they were accustomed to, semi-precious stones also came into favor. Many jewels were reset, especially as brooches and pins which were used to pin up sleeves, overdresses and trains. Cameos also came into favor, being prized by Empress Josephine of France. Next to cameos in popularity, came garnets, then diamonds, emeralds, topaz and coral, all now easily affordable to the burgeoning, new middle-class. Cross necklaces became popular for everyday wear (one readily recalls Fanny Price's agony over finding a chain to fit her new pendant) as well as plain gold chains. Pearls, a perennial favorite, were used not only on the necklaces, earrings and bracelets (Dolly Madison wore an entire set, a gift from her husband, to his inaugural ball) but also as trim for garments and turbans. 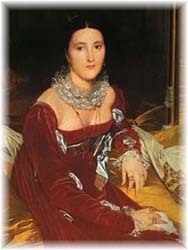 Jewels were also used to accentuate the Greek inspired hair arrangements popular at the time. Bandeaus and other types of headbands could be liberally decorated with them, for evening wear. One other type of jewelry to spring into favor during the Regency were locket watches, as one writer described, "[small watches] are worn by a few dashing belles, on their bosoms, not bigger than a round half guinea." Men's watch fobs could also be used with the redingote (coat) type dress or coat. Click Here for a shop selling gemstone cross necklaces. "We wore white crepe dresses trimmed with satin ribbon & the bodices & sleeves spotted with white beads. . . Thursday night, Pearl combs, necklaces, earrings, & brooches. . . Tuesday evening we had sprigged muslin. . . gold ornaments & flowers in our heads & Friday we wore yellow gauze dresses over satin, beads in our heads & pearl ornaments"